ns1.fruitengine.com, and ns2.fruitengine.com are its DNS Nameservers. U.s. Colo Llc California is the location of the Apache server. 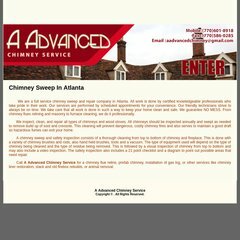 Aadvancedchimneyservice.com's server IP number is 208.74.75.185. PING (208.74.75.185) 56(84) bytes of data. A ping to the server is timed at 39.7 ms.